These are all made pretty much the same way; once you've made one, you'll be able to adapt the template to suit whatever you need. 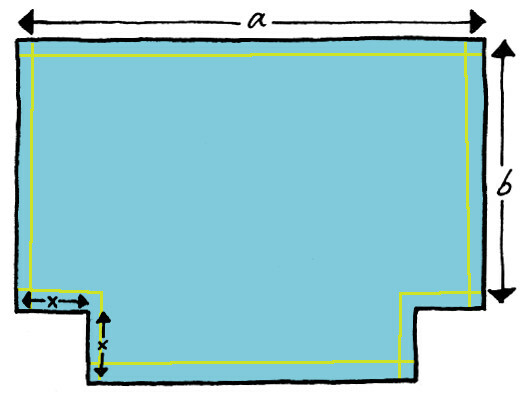 Lengths a and b can be whatever you want, but it's important that the x lengths are the same. 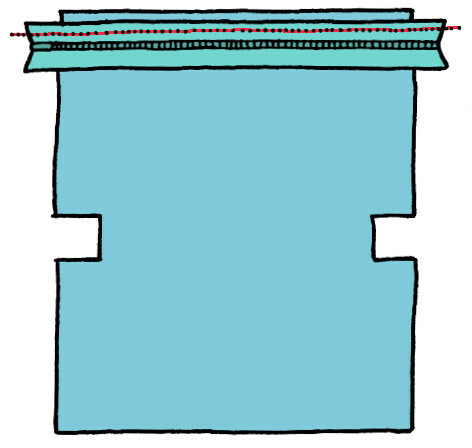 a is the length of the bag, b is the height, and x is half the width. 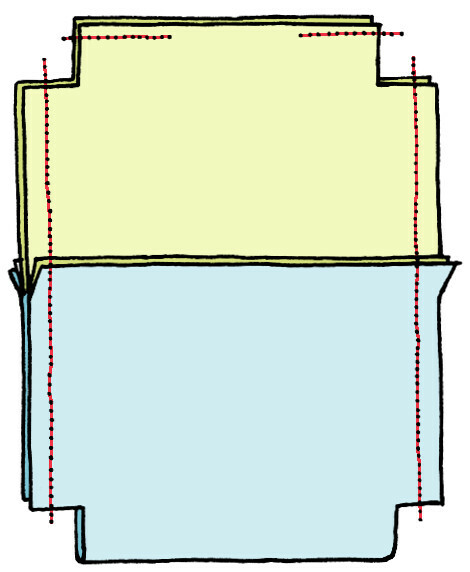 Include seam allowances in all these measurements (yellow lines on the drawing). You'll need to cut 2 pieces of outer fabric, and 2 pieces of lining fabric. If you do this, it's important to note that you won't need to include the seam allowance at the bottom of the purse - no seam, no seam allowance! 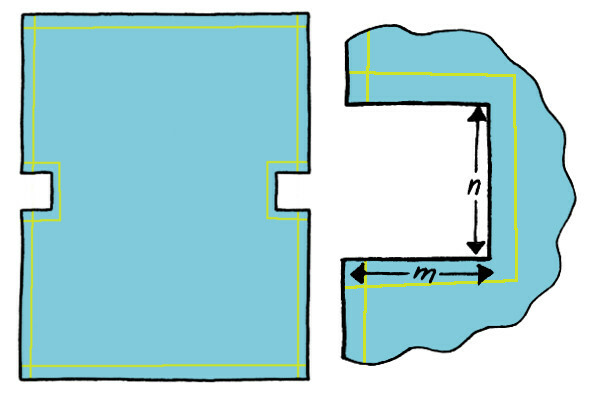 So n is the finished width of the bag, without seams (for eg 5cm) and m is half of that, plus seam allowance (for eg 2,5cm + 1cm seam allowance). 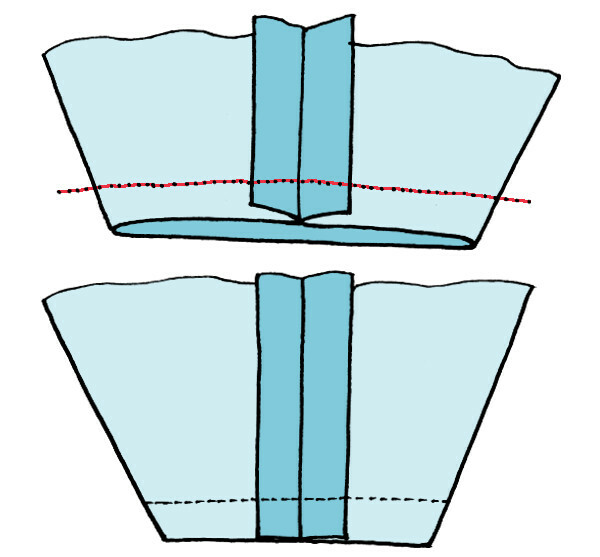 If you're not sure, cut the pattern out in paper first and fold the edges to make sure they line up properly. Sew the zip to one side of the outer fabric, right sides together. Sew the zip to the other side of the outer fabric, right sides together. Now sew the lining pieces to the zip, sandwiching the edges of the zip between the 2 layers of fabric. Open the zip halfway, fold the purse flat with the right sides of the fabric on the inside, and sew along the red lines. Leave a gap at the bottom of the lining section. 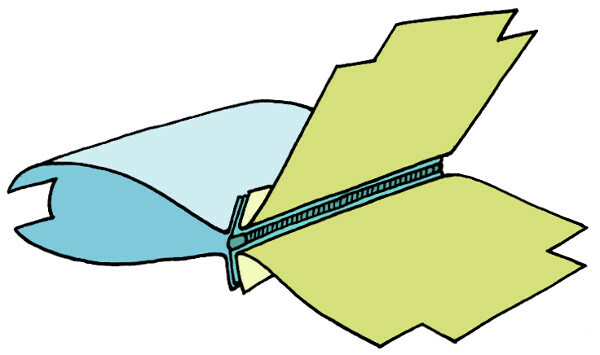 Go very very slowly over the zip section; make sure both ends of the zip are folded the same way. There's some debate over which way the teeth of the zip should be facing - into the lining or not. I've tried both, and honestly found no difference. Now fold the corners flat, and sew across. Turn the purse right side out through the gap in the lining, and sew the gap shut, either by hand, or by folding the seam allowance inward and sewing a seam very close to the edge. To make a simple tote bag, without a lining, simply cut 2 outer pieces, finish all edges with a zigzag stitch, then sew up sides and bottom, box corners as above, hem the top by folding over twice and stitching. Cut webbing for straps and stitch to bag (66cm seems a good length to me, but pin the straps to the bag before cutting, to test). A storage bin is even simpler. It's a purse without a zip: sew the lining pieces to the outer pieces along the top edge, and then proceed as for the purse above. Thanks for these two tutorials, Jezze! You make itlook quite simple - although I must say that zippers still scare me!